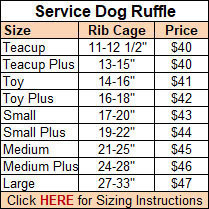 We offer our Service Dog Ruffle Harnesses in 9 Sizes for dogs weighing up to approximately 45 lbs. ranging in price from $36.00 to $44.00. 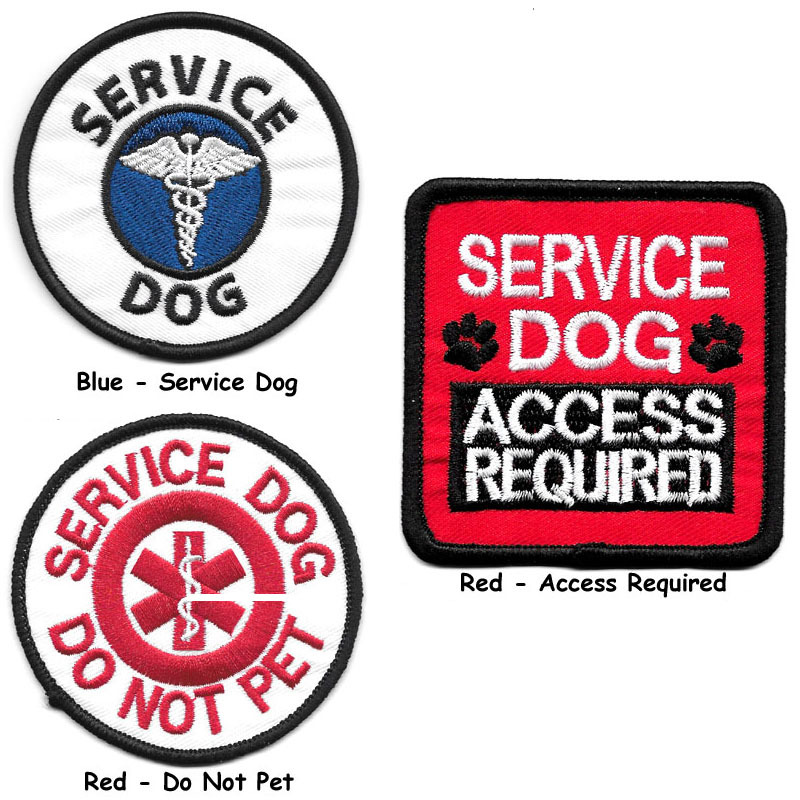 Our Service Dog Ruffle Harness is built on our Easy-On Ruffle Harness, with a Service Dog patch sewn onto the top of the harness where it can be easily seen by anyone approaching the dog. Please select the correct size in the drop-down choices based on your dog's rib cage measurement, select the patch of your choice, and click the Add to Cart button. The final price will be reflected correctly in your Cart.